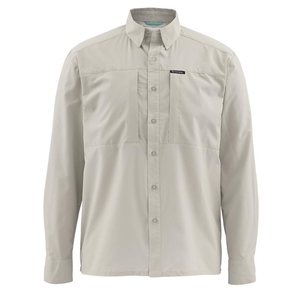 Simms Ultralight Long Sleeved Shirt. 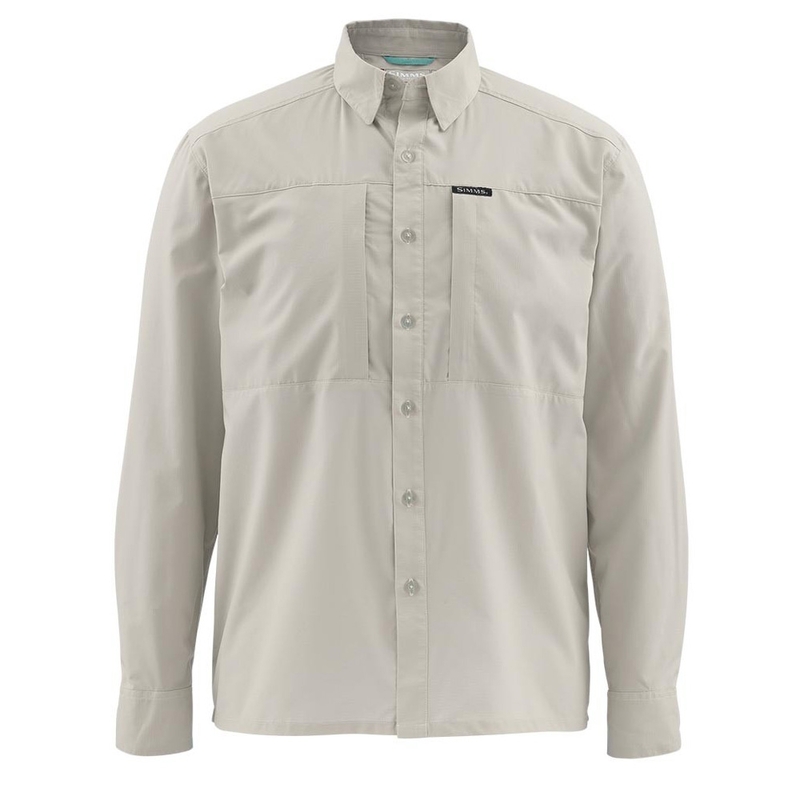 Weighing in at an airy 5.5 ounces, Simms’ Ultralight LS Shirt will elevate your fishing with UPF30 COR3 tech that wicks moisture, blasts odor, and breathes easy out the door and into the oven. Rugged ripstop polyester fabric with mechanical stretch moves with your body, while laser-cut side venting helps dump heat and drive airflow. Apt architecture includes zippered chest pockets for fly box compatibility, extended cuffs to protect hands from harmful UV rays, and articulated sleeves for effortless casting and prodigious performance anywhere the sun shines.